Day 1: Fly to Honolulu. On arrival make your own way to your hotel. 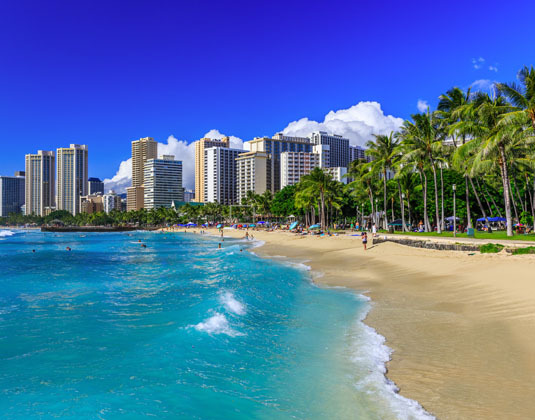 Day 2 Honolulu/Cruise: Morning at leisure in Hawaii’s largest city, so why not take a stroll on Waikiki Beach or see historic Pearl Harbour and the National Memorial Cemetery of the Pacific. This afternoon, make your way to the port for embarkation of the Pride of America. Day 3 Kahului, Maui: Morning arrival in Maui, home to a surplus of natural splendour. 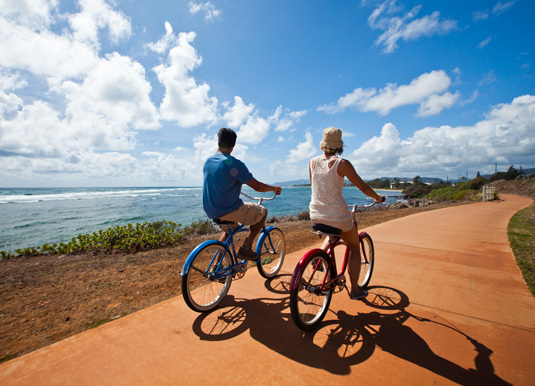 Explore the fascinating town of Lahaina, picnic at a nearby plantation, plant yourself on a pristine beach or perhaps enjoy a round of golf? Optional shore excursions are available and include the magnificent scenery along the Road to Hana or you can visit the Maui Tropical Plantation before discovering the Iao Valley. Day 4 Kahului, Maui: The ship remains in Maui so you have a further day to explore. 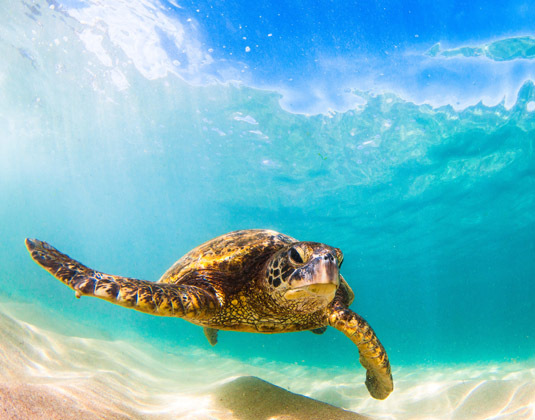 Maybe join an optional shore excursion to the massive Haleakala Crater, or hop aboard a catamaran to Molokini, one of the top ten snorkel sites in the world - you may even encounter a turtle! 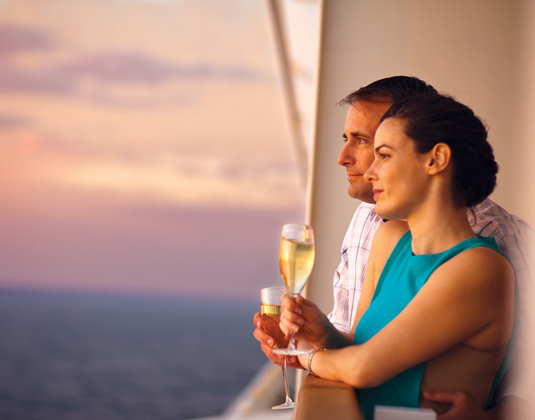 Alternatively, simply explore at leisure or enjoy the many wonderful facilities of the ship. Day 5 Hilo, Big Island: The entire city of Hilo is like one giant greenhouse with spectacular tropical flowers at every turn. 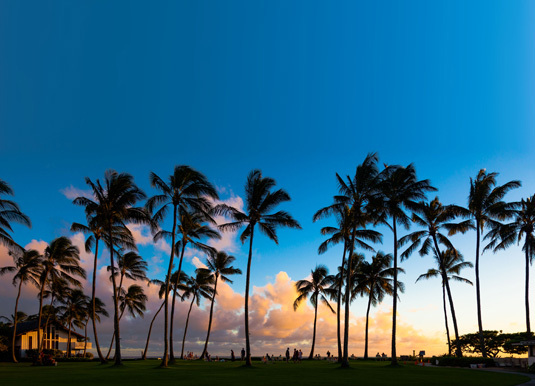 Visit the town’s well-preserved historic buildings, which date back to the turn of the century and showcase Hawaii’s unique architecture. 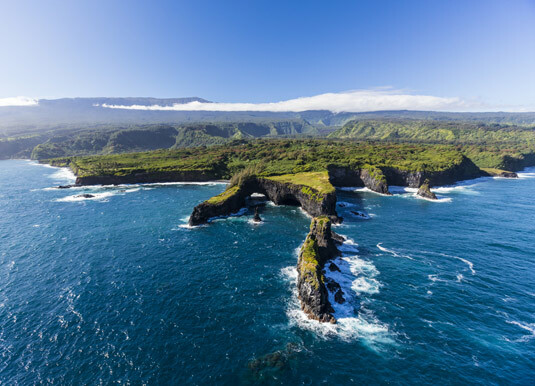 Alternatively, just 30 miles away, the Volcanoes National Park is home to the active Kilauea Volcano which you can visit independently or join an optional shore excursion. Thrill seekers may wish to book a helicopter ride for a bird’s eye view of the Kilauea Volcano, which allows you to view current volcanic activity that can’t be seen from the ground. Day 6 Kona, Big Island: Kona offers the quintessential Hawaii experience, as warm weather and crystal blue waters entice visitors to partake in a variety of surfside fun. Snorkel amongst a kaleidoscope of tropical marine life; take a surfing lesson; a kayaking trip or head out for some deepsea fishing. Optional shore excursions today include Historic Kona; the Big Island Snorkel which is fun for all the family; Gold Coast & Cloud Forest; Parasailing in Paradise; or the Captain Zodiac Raft, Snorkel & Dolphin Adventure. Day 7 Nawiliwili, Kauai: Named after the Wiliwili trees, which once lined its picturesque harbour, this lovely port of Kauai is your gateway to what many believe to be Hawaii’s most beautiful island. On the Garden Island, nature is truly the star, from the dramatic mountains of Kokee to the cool rainforests of Haena. 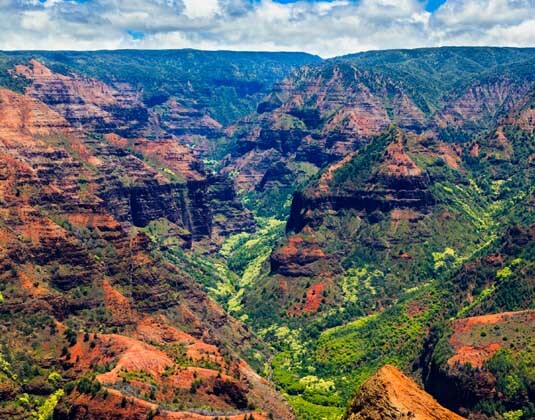 Optional shore excursions on Kauai include Journey to Waimea Canyon, the breathtaking gorge in the heart of Kauai; Kauai Canopy Zipline Adventure; Hidden Valley Falls Kayak; Napali Explorer and Jewels of Hawaii - Waterfall & Tropical Gardens. This evening, another option is to go to a Luau, a Hawaiian cultural extravaganza during which you’ll dine on a lavish buffet of local delicacies then feast your eyes on graceful hulas and traditional fire dances. Day 8 Nawiliwili, Kauai: The ship remains in Nawiliwili until 2pm, so perhaps join one of the optional half day shore excursions. Alternatively, enjoy time at leisure to stroll and discover the Garden Island for yourself. This afternoon, you have time to indulge in a refreshing swim at the Oasis pool, test your skill at a variety of deck games or at the golf driving net; or enjoy a pamper session at Mandara Spa. Day 9 Honolulu, Oahu: Early morning arrival back in Honolulu. Disembark and make your own way to the airport for your onward journey, or alternatively you may wish to extend your holiday? Departures: The price shown is for 09 Nov 18 from the UK. However, the cruise departs every Saturday from Honolulu. 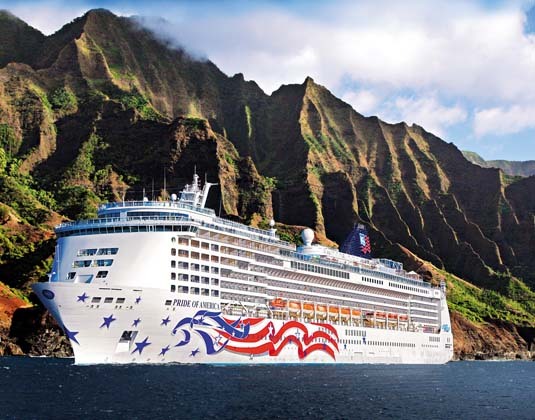 Accommodation: 1 night before your cruise at Coconut Waikiki Beach, Honolulu; 7 nights in an inside stateroom on Pride of America. Meals: Room only in Honolulu. Full board on cruise which includes tea, coffee, iced water and iced tea during meals as well as certain juices during breakfast.